Matt and Elle have a wonderful life but it is not without struggle. They first met as infants, became more than friends as teenager and married each other more than a decade later. All that is missing in their life is a baby. But this is not your average “We want a baby” book. Through twists and turns in the story — twists that will keep you turning the pages as quickly as you can — you will be kept on the edge of your seat. Not only will you be entertained, you will be intrigued and, if you are at all like me, become emotionally invested from the start. Days after I finished the book, months later, I am still haunted by their beauty of the love between Matt & Elle, and I still feel an emotional connection to them and their plight. This book was riveting. It’s more than a love story, more than a book that will motivate you. It will crawl into your heart and soul and stay there long after you have finished the book. But be careful — it will ask you to think about issues you may want to ignore. And, if you are at all like me, you will resent anything that keeps you away from finishing this book. Things like sleep, work and family. You will be so glad you read it — and you will fall in love with the characters, like I did. 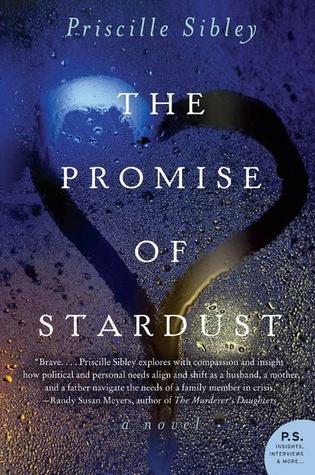 This is Priscille Sibley’s debut novel — and I can’t wait to read more!